Free West Papua Protest in the Melbourne CBD on August 2012 asking for the release of Filep Karma, the freedom fighter serving 15 years in jail for raising the Morning Star at a rally in 2004. 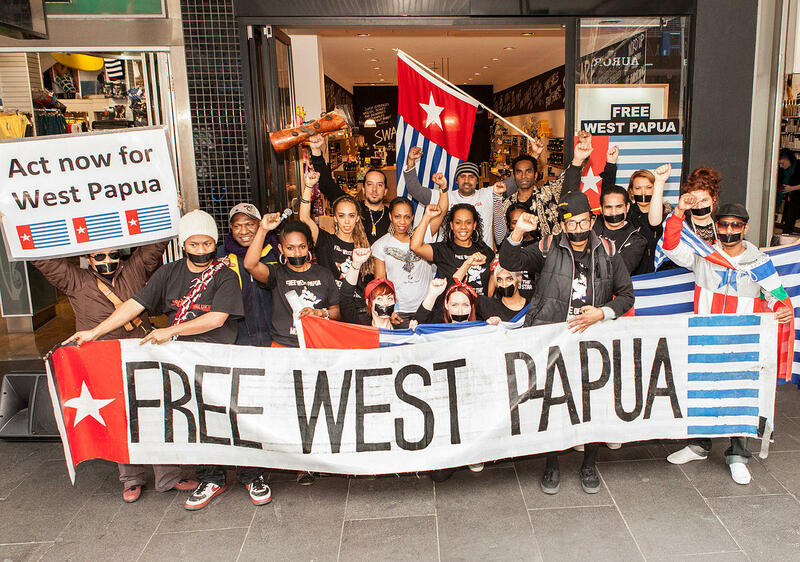 The campaign is also calling on the release of all West Papuan political prisoners. The incident occurred in a remote, mountainous area. Indonesia does not allow outside reporters in, so details are impossible to confirm. We have deeply conflicting accounts that both suggest that the long-running low-level insurgency in West Papua has just gotten much worse. Indonesian officials relayed witness accounts of a civilian massacre to RNZ Pacific. 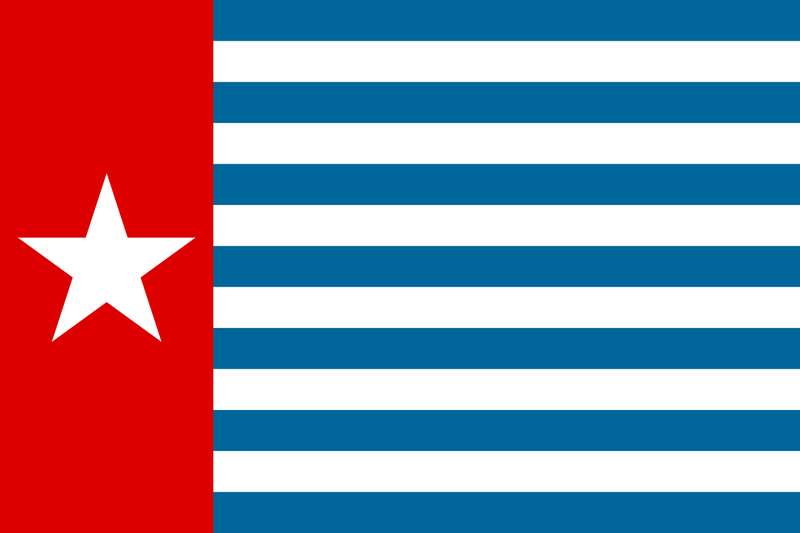 That version of the story begins December 1st – celebrated by Papuan activists as their independence day. At a rally in Nduga, a construction worker snapped a picture of the demonstration. He was part of a crew brought in from the island of Sulawesi to build a section of the Trans-Papua highway. According to the Indonesian version, the presence of a camera drew a violent response from about 50 members of the West Papua Liberation Army, which rounded up the workers, marched them to a hilltop, and opened fire. A few survived and ran away, only to be hunted down. A statement from the West Papua Liberation Army reported by the Guardian Australia claimed responsibility for the attack, but while it’s version begins the same way – a photograph of an independence day rally. It claimed that the construction workers were Indonesian soldiers disguised as civilians. It described the incident as self-defense and characterized the construction project as a military highway. The number of those killed is unclear, accounts say at least 24, as many as 31. Construction on the highway has been suspended, and Indonesian police and military are reported to be moving into the area.